Centerville Road Animal Clinic is proud to serve the Garland, TX area for everything pet-related. 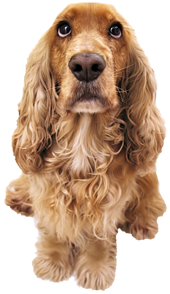 Our veterinary clinic and animal hospital is run by Dr. Julie Stanek, who is a licensed, experienced Garland veterinarian. Our team is committed to educating our clients in how to keep your pets healthy year round, with good nutrition and exercise. Centerville Road Animal Clinic stays on top of the latest advances in veterinary technology and above all, remembers that all animals and pets need to be treated with loving care in every check-up, procedure, or surgery. The history of Centerville Road Animal Clinic began in 1971 when the practice was established by John Parkin DVM. The practice has always been based in small animal medicine from its beginnings, and actually started across the street in a little strip mall. Centerville Road Animal Clinic was relocated to its current position as a free standing building in 1977. Dr. Julie Stanek DVM, a 1994 Texas A&M Veterinary School graduate joined the practice as an associate in May of 1998. In 2003, Dr. Parkin retired and sold the practice to Dr. Stanek, passing the Centerville Road Animal Clinic torch to the next generation. The clinic has progressed over the years to a family based practice with its emphasis on education and high quality preventative medicine. Centerville Road Animal Clinic is also beginning to incorporate some alternative medicine into its practices such as class 4 laser light therapy to compliment our other more traditional approaches. Our goal is to always provide the best medicine possible and educate our clients to the best of our abilities. We regard your pets as family and believe in treating them as if they were our own. We believe in providing both top quality medicine and thorough client education. We believe that our passionate dedication to this goal will ensure our patients live as long and healthy lives as humanely possible.